Here are the 8 mega cruise ships from 6 different cruise lines which will begin offering cruise vacations in 2019 in the Caribbean, Mediterranean and Asia. If you thought 2018 was a busy year for new cruise ships then just wait until 2019! In the coming year, we’ll see eight mega cruise ships enter service across six different cruise lines including MSC Cruises, Costa Cruises, Royal Caribbean, Princess Cruises, Norwegian Cruise Line and Carnival Cruise Line. 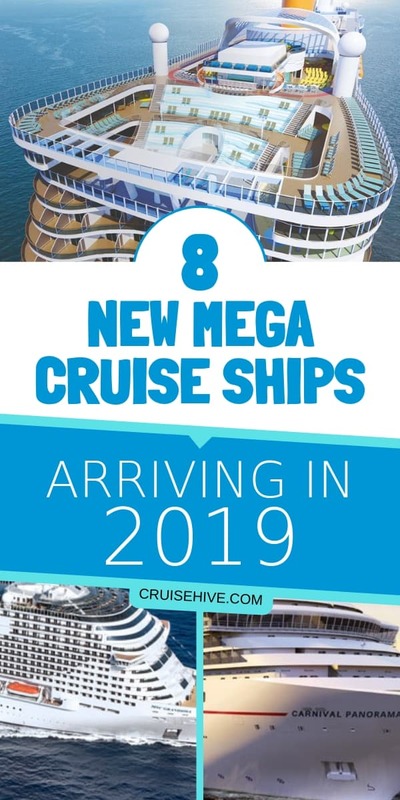 It’s time to find out which mega cruise ships will arrive in 2019 and we’ll let you know everything known so far but do remember, the cruise lines are always teasing and revealing new features as their ships get closer to completion. 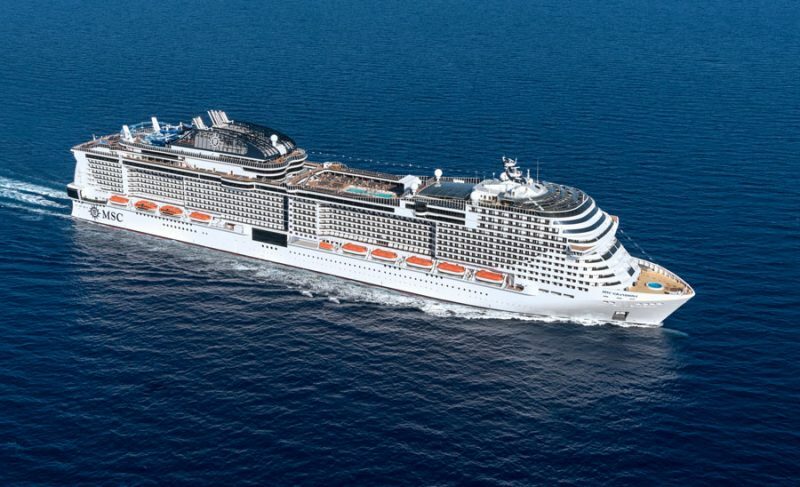 MSC Bellissima is the second in the Meraviglia class which the industry was first introduced to in 2017. 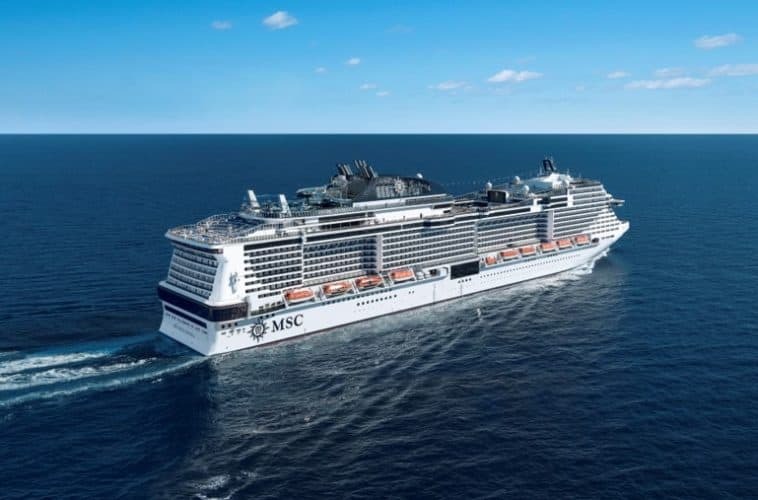 The vessel is being built at the Chantiers de l’Atlantique shipyard in France and is the fourth new generation ship to arrive for MSC Cruises in just 18 months. The new ship will be christened in Southampton, Uk and will be the largest ever cruise ship to do so. On March 2, 2019, MSC Bellissima will depart the British port on a short 3-night sailing. She will sail a range of cruises in the Meditteranean for her inaugural season before heading to the Emirates for the 2019/2020 winter season. The vessel will feature the world’s first digital cruise assistant named ZOE, introduce a new tapas restaurant, launch two new Cirque du Soleil at Sea shows and new enhanced kids programs. MSC Bellissima will be 171,158 gross tons with a guest capacity of 5,686 in 2,217 cabins. This new Costa cruise ship which is coming in 2019 is being purpose-built for the Chinese market. It will be the first time a Costa ship has been specifically built for China. Guests in the region will be able to experience the famous Italian decor and culture not seen on other ships. 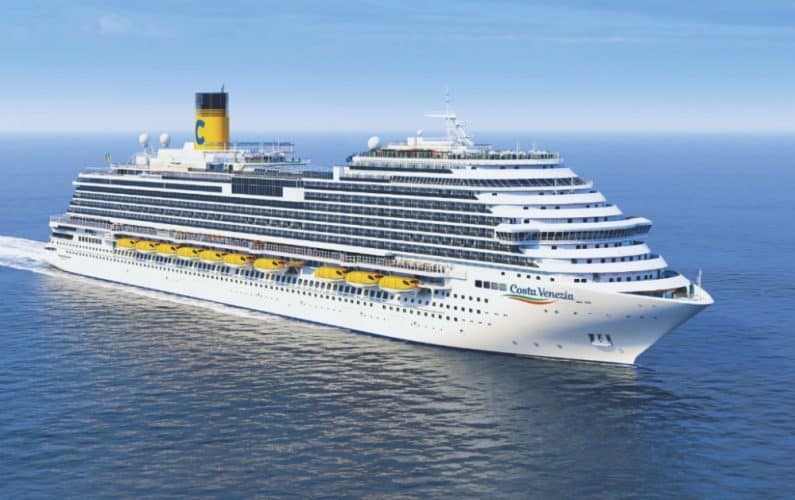 Costa Venezia will celebrate her naming ceremony at the Fincantieri Monfalcone shipyard in Italy on March 1. The huge event will feature fireworks and large screens so everyone can see the ribbon-cutting ceremony. Around 1,500 guests will attend the event from China, South Korea, Japan, and several European countries. The Costa ship will be 135,500 gross tons which is a similar design to Carnival’s Vista-class ships. She will measure 323 meters in length with a passenger capacity of 5,100. The largest ever Costa ship based in China will begin service with a preview voyage departing the shipyard in Triste on March 3, 2019. The cruise will include calls in Greece and Croatia before returning back on March 8. Costa Venezia will set off on her maiden 53-day voyage sailing across the Mediterranean, the Middle East, Asia, and ending in Tokyo. Her year-round deployment from Shanghai, China will begin on May 18, 2019. Spectrum of the Seas will be the first Quantum-ultra class ship from Royal Caribbean. Just like Costa Venezia, she is being purpose-built for the Chinese market so for those in the U.S. it might be a long time until you get to experience this new mega-ship. 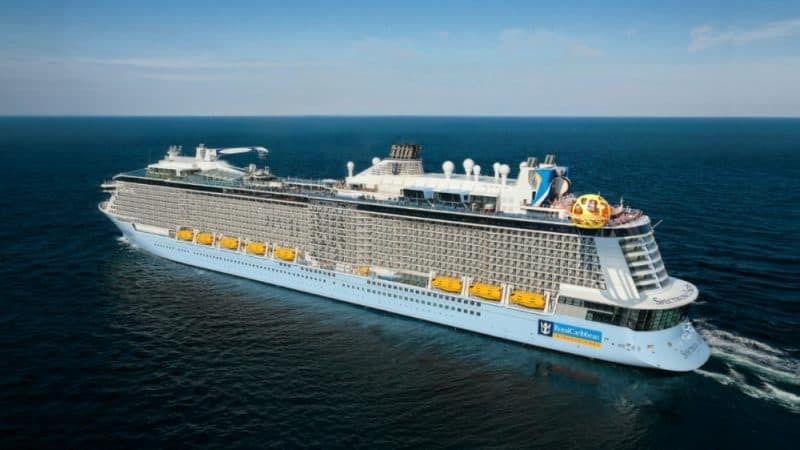 The Royal Caribbean ship which will be an evolution to the current Quantum-class ships will debut in April 2019 with an epic 51-night journey from Barcelona, Spain to Shanghai, China. The ship will arrive at her new homeport in June 2019 and introduce new port of calls including Hakodate and Niigita, Japan; Ilocos, Philippines; and Vladivostok, Russia. The ship will be based out of Hong Kong in winter 2019 for holiday cruises. Once Spectrum of the Seas joins the Royal Caribbean fleet she will be 168,800 gross tons with a guest capacity of 4,246 at double occupancy along with 1,552 crew members. This will truly be a mega ship and the largest ever constructed for Costa Cruises. Costa Smeralda will be a totally new generation class vessel fully powered by Liquified Natural Gas (LNG). 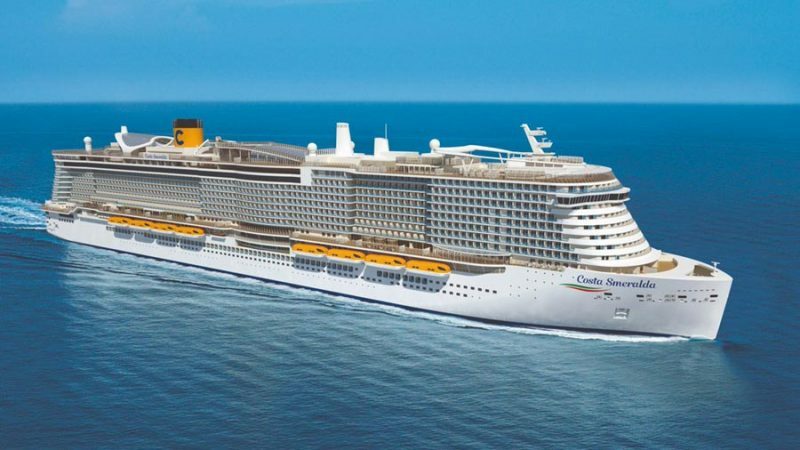 Costa Smeralda is being constructed at the Meyer Turku shipyard in Finland and one completed will be an impressive 182,700 gross tons carrying a maximum capacity of 6,518 passengers in 2,612 cabins. There will be 1,678 crew members on board along with 11 restaurants and 4 pools. She truly will be a floating city showcasing the Italian way of cruising. Once in service, the new Costa ship will debut with a 15-day voyage on October 20, 2019, from Hamburg to Savona. The official maiden voyage will depart Savona on November 4, 2019, on a 6-day itinerary including calls at Barcelona, Marseille, and Civitavecchia. The ship will continue to offer week-long western Caribbean cruises calling at Savona, Marseille, Barcelona, Palma de Mallorca, Civitavecchia, and La Spezia until April 2020. 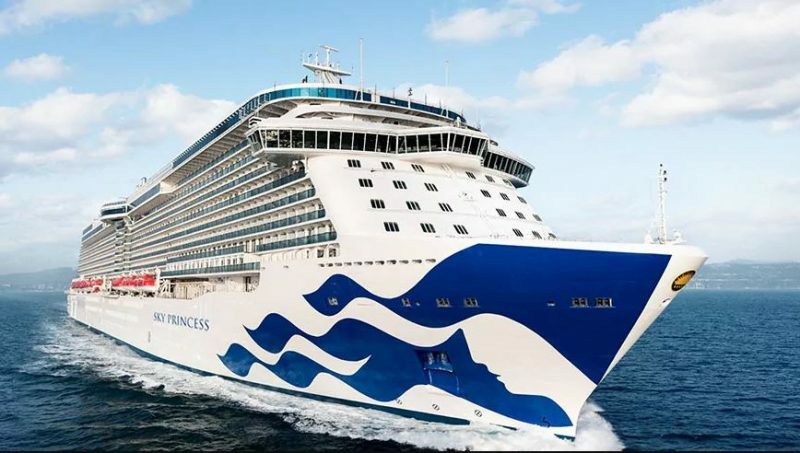 The fourth Royal-class Princess cruise ship will debut in October 2019 and for actually won’t be purpose-built for China as sister ship Majestic Princess is already based there. Sky Princess is currently under construction by Fincantieri in Italy and once completed will be 143,700 gross tons. She’ll be able to carry 3,660 guests along with 1,346 crew members. Even though she looks identical to her sister ships she’ll feature an all-new Sky Suite with the largest balcony at sea. The 700 square foot balcony space will offer breathtaking 270-degree panorama views. There will also be new ways to relax on the open decks with two deep-tank pools. On October 20, 2019, Sky Princess will set off on her week-long maiden voyage from Athens, Greece. The itinerary will include calls in Montenegro, Greece, Sicily, and Italy before ending in Barcelona, Spain on October 27. The mega cruise ship from Princess cruises will offer cruises in the Mediterranean and Caribbean in 2019. This will be the fourth Breakaway-plus class ship for Norwegian Cruise Line. This hugely popular class ship will continue bringing innovative features when she arrives in November 2019. Norwegian Encore is being built at the Meyer Werft shipyard in Papenburg, Germany and once completed will be slightly larger than her sisters ships Norwegian Escape, Norwegian Joy and Norwegian Bliss at 169,000 gross tons. She’ll have a guest capacity of up to 4,000 at double occupancy in over 2,000 staterooms. One of the biggest features on the ship will be the largest race tack at sea. There will be almost 1,150 feet of thrilling track with ten turns and even a part of it extends 13 feet over the side of the ship. The ship will have a 10,000-square-foot indoor virtual reality complex and the industry’s only open-air laser tag arena. The NCL vessel will debut on November 17, 2019, from PortMiami, Florida. The ship will sail 7-day itineraries to the Western Caribbean departing every Sunday. Norwegian Encore will continue this until April 2020. MSC Grandiosa will be the first Meraviglia-Plus class ship, an evolution to the MSC Meraviglia which joined the fleet in 2017. She will be a huge 181,000 gross tons making her in the top ten largest cruise ships in the world! What exciting about the MSC ship is she’ll be based in the Meditteranean sailing to some of the most stunning destinations in the region. MSC Grandiosa will offer 7-day Western Mediterranean cruises for her inaugural season including calls at Genoa, Civitavecchia, Palermo, Valletta, Barcelona, and Marseille. Before her regular sailings, the large mega ship will sail a series of cruises from Hamburg, Germany starting on November 10, 2019. Highlights onboard include a Mediterranean-style promenade which was first introduced on MSC Meraviglia and the introduction of two new Cirque du Soleil at Sea shows. 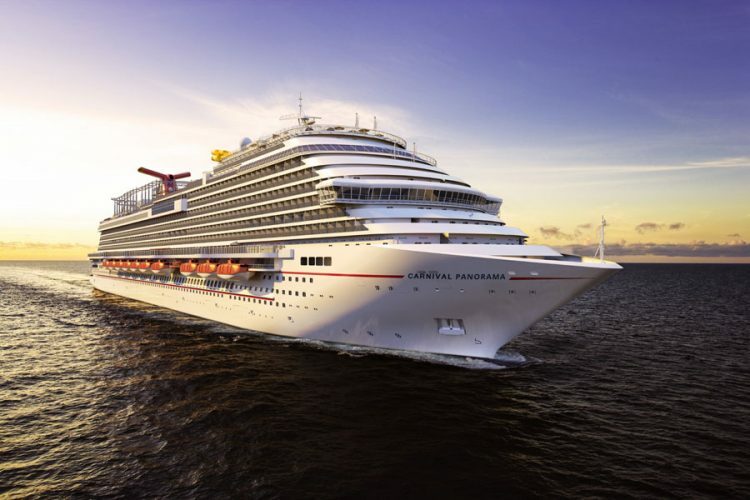 Carnival Panorama will be the third Vista-class ship from Carnival Cruise Line. She’s being built at the Fincantieri Marghera shipyard in Italy and will look almost exactly the same same as sister ships Carnival Vista and Carnival Horizon. What’s different about this new vessel from Carnival Cruise Line is the new Sky Zone trampoline park. This will be a 3,000 square foot two-deck space with a 12-lane trampoline court where gues can really have some fun. It will be located on decks six and seven. Carnival Panorama is being built by Italian shipbuilder Fincantieri and once completed will be 133,500 gross tons with a guest capacity of 4,008 at double occupancy. We’ve bee covering the ship extensively on Cruise Hive and just recently the iconic red white and blue funnel was added. The ship will be based on the U.S. west coast with a special 3-night cruise from Long Beach, California on December 11, 2019. The Carnival ship will sail week-long cruises to the Mexican Riveria starting on December 14 including calls in Cabo San Lucas, Mazatlán and Puerto Vallarta.